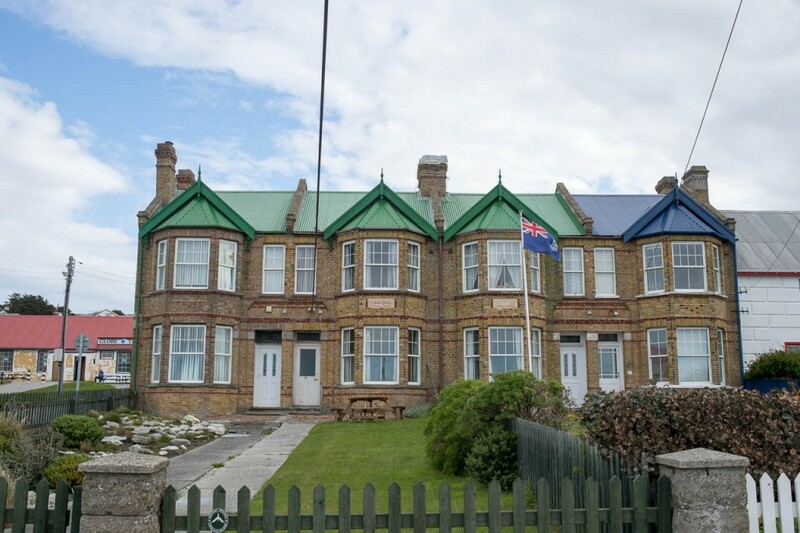 Day 8 in The Falklands has been another transfer day, probably the least interesting day of the trip so far. Today we moved from Darwin to Stanley. 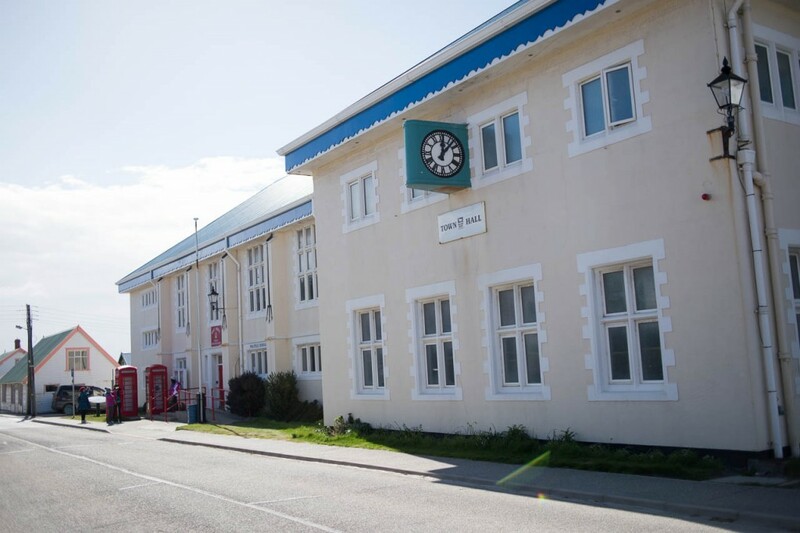 The capital of the Falklands and home to around 1800 of the 2000 people living in the islands! This morning was spent hanging around at Darwin House waiting for our plane to Stanley. 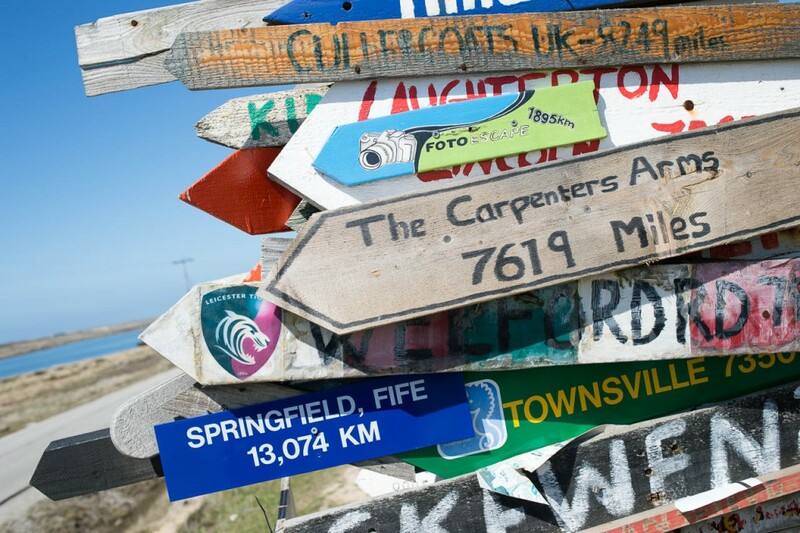 Originally estimated for 11:30am we eventually got a call to head for the airstrip at 1.30pm! We spent the time relaxing at the hotel, I managed to get a few more episodes of Game of Thrones watched, while my dad wandered round the beach and lodge grounds. 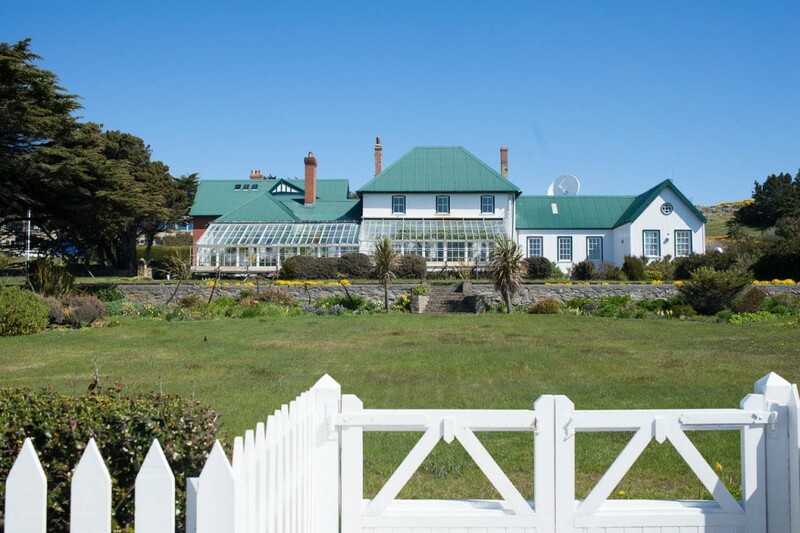 Our hosts at Darwin House offered us some lunch and then it was time to catch our last FIGAS flight to Stanley. Considering that today had been the least windy day of the trip it was typical that today was the bumpiest flight we have experienced! Our pilot blamed the thermals! 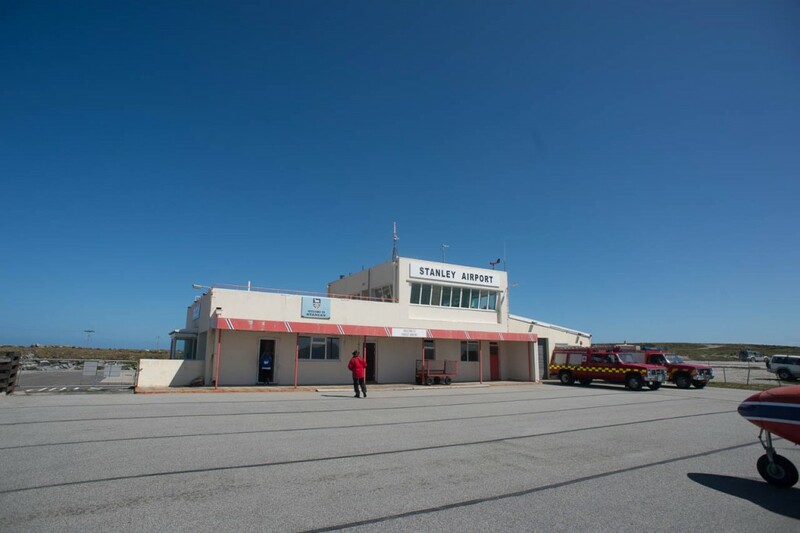 As we arrived into Stanley it was strange to have a tarmac runway and a terminal building! We were met at the airport and taken on a brief tour of Stanley by our driver, who was a local lady. 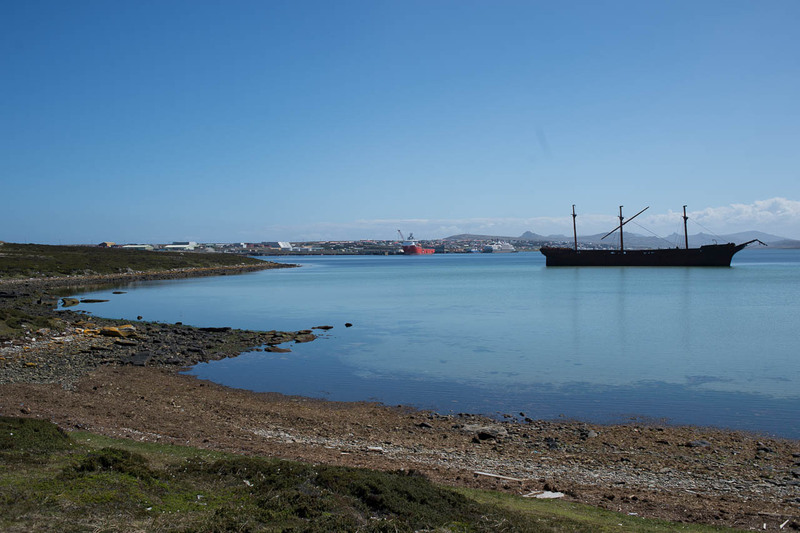 She took us to see the wreck of the Lady Elizabeth which is beached on the sand bank at the end of Stanley Harbour. 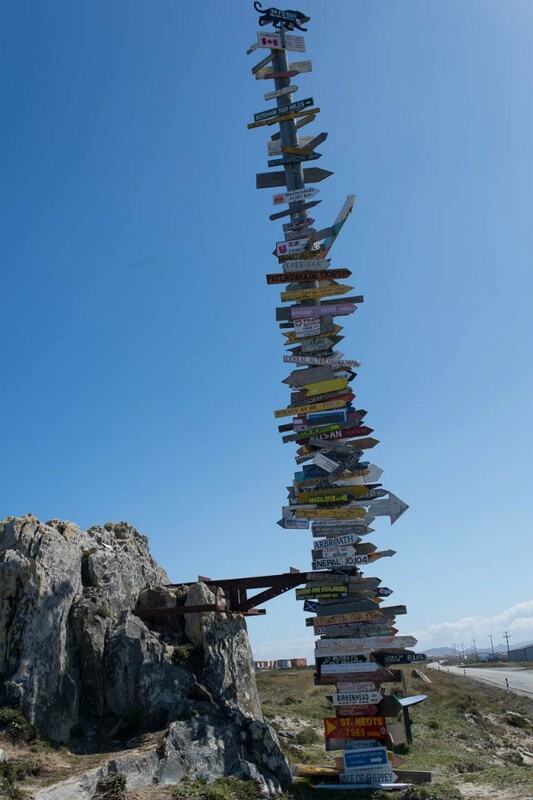 After this we visited the Totem Pole on the outskirts of the town. 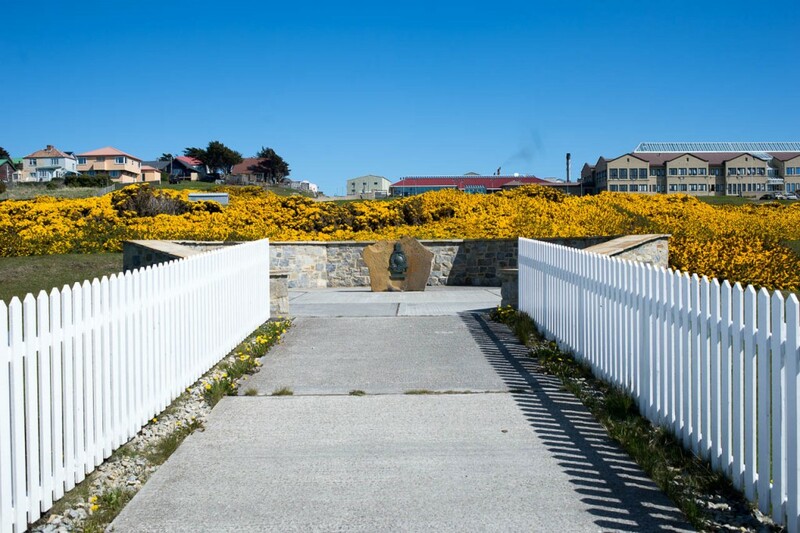 This was started shortly after the 1982 war by the personal camped in temporary accommodation outside Stanley. 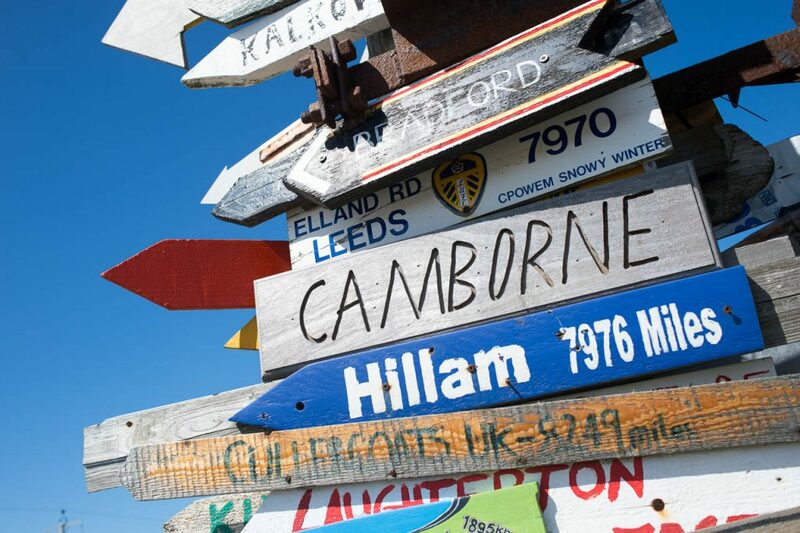 It was no surprise to me to find a Leeds United arrow attached to the Totem, confirming that Elland Road is 7,970 miles from here! 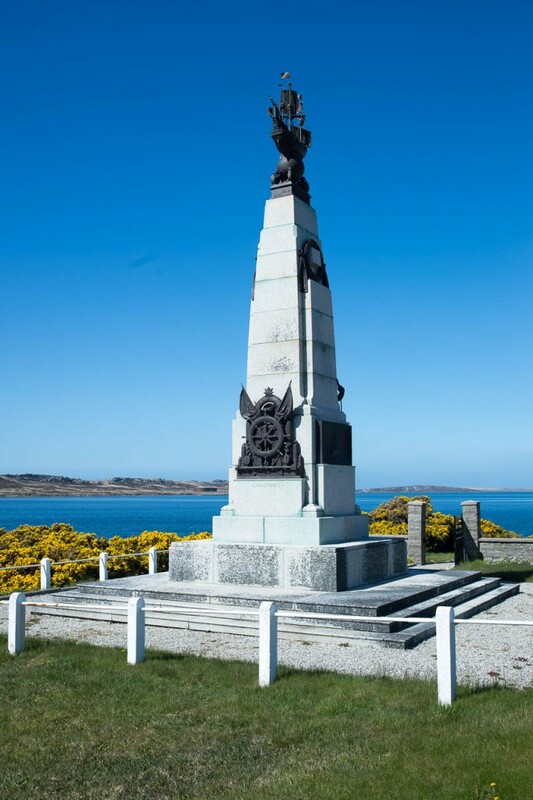 We then visited the Royal Marines memorial, the Governors House as well as the monument to the 1914 naval battle of The Falklands. 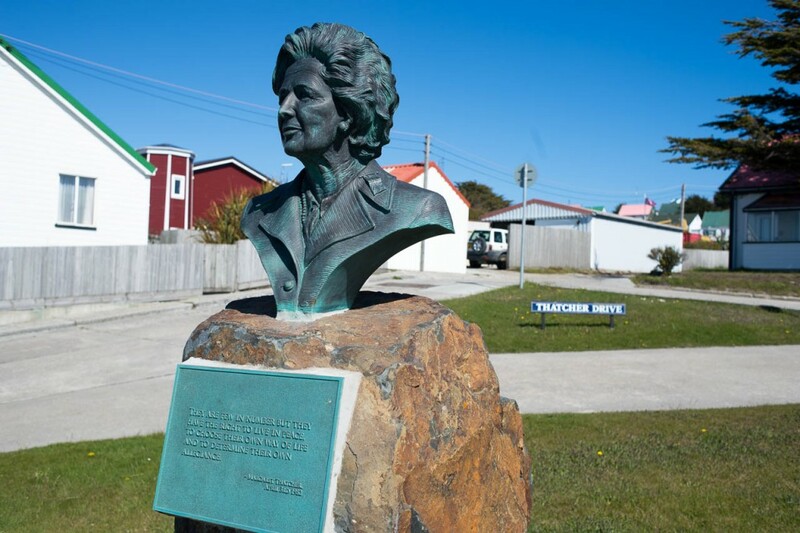 We finally stopped off to see the recently erected Margaret Thatcher bust, which overlooks Thatcher Drive. For all her controversial policies she is still held in very high regard in this part of the world! 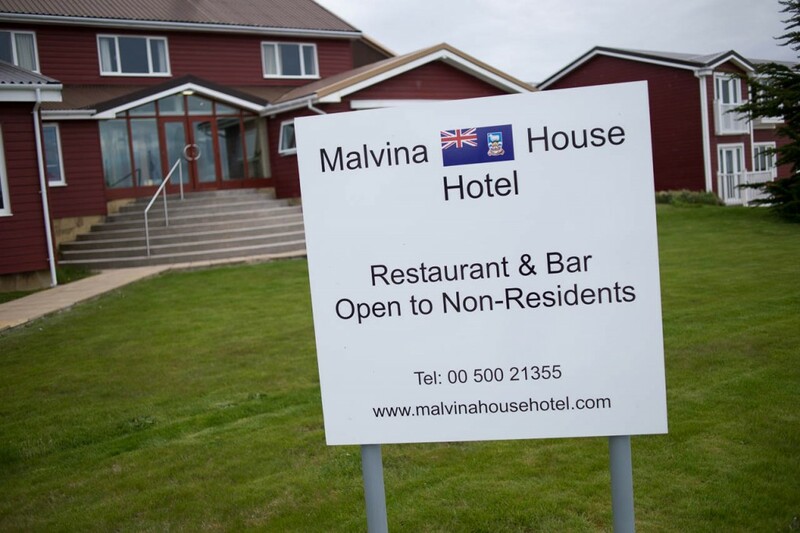 After checking in to the Malvina House hotel I took the chance to have a wander round the town with my camera. 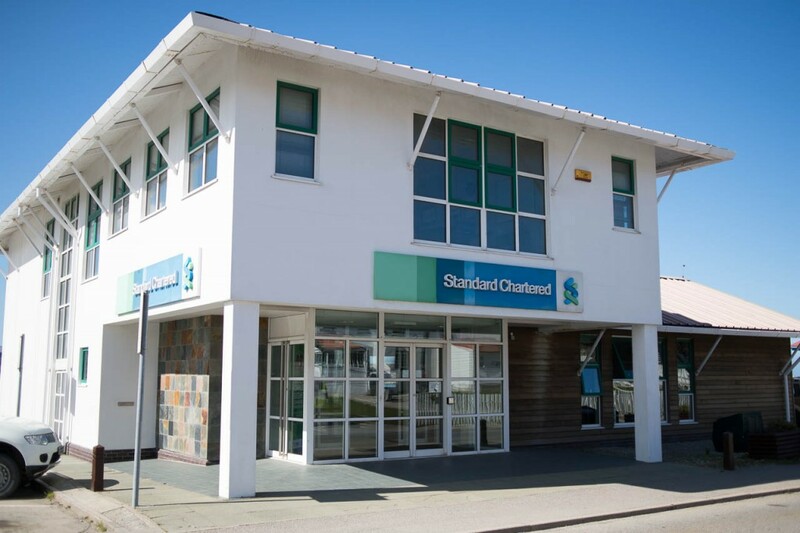 I wandered past the local Town Hall and Post Office, and the only Bank on the Island – a branch of Standard Chartered! Finally I wandered along Victory Green in the centre of town. Around this area is the incredibly English looking Jubilee Villas as well as Christ Church Cathedral which has a whale bone arch in the grounds. 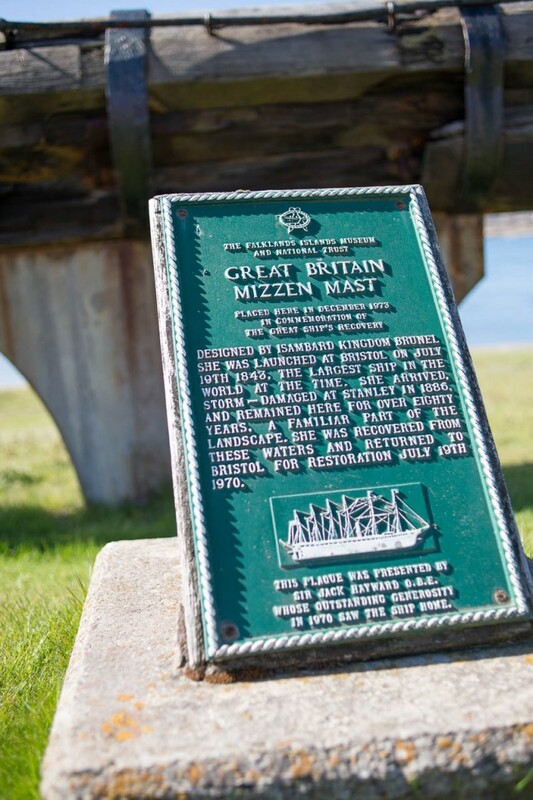 This is also home to the old Mizen Mast from Brunell’s SS Great Britain. 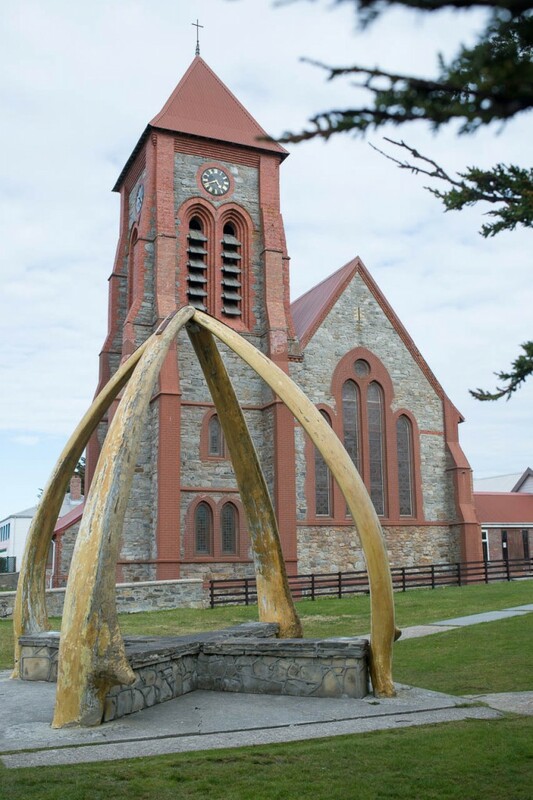 The ship was damaged rounding Cape Horn and called into Stanley for repairs. It was deemed to be beyond repair and remained in Stanley Harbour as a storage hulk until the 1970’s when it was eventually returned to Bristol, restored and turned into a tourist attraction!